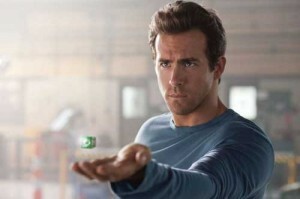 Panned by critics, Warner’s live-action Green Lantern, starring Ryan Reynolds (Paper Man) as the emerald superhero, did get some love from audiences. In the movie, which is based on the DC comic, Reynolds plays Hal Jordan, a test pilot with a responsibility problem. When he finds a dying alien in a crashed ship, Jordan inherits a mystical green ring that transforms him into the newest member of the Green Lantern squad of intergalactic superheroes. Soon he’s battling evil forces on Earth as well as in the universe. The PG-13 film has quite the cast, which also includes Blake Lively (The Town), Peter Sarsgaard (An Education), Mark Strong (The Way Back), Tim Robbins (War of the Worlds) and Angela Bassett (Jumping the Broom). Despite mixed reviews, the science-fiction movie grossed $115.6 million at the U.S. box office, but didn’t cover its reported budget of an estimated $200 million. On Blu-ray and Blu-ray 3D, Green Lantern comes in an extended cut and the version that was shown in theaters. In the Blu-ray 3D package, which also contains a DVD and Blu-ray disc, only the theatrical film is in 3D; the extended version is in 2D. Both of the Blu-ray versions also include a digital copy of the movie.